Stevyy's Chart :: Can Madonna go #1? Thread: Stevyy's Chart :: Can Madonna go #1? I was shocked when I listened to the album the first time and this song came on... it's infectuous. Great to see Snow Patrol and the BSB on your chart! In the spotify era of the MSSA it gets seeimingly harder to debut with record breaking first week airplay. 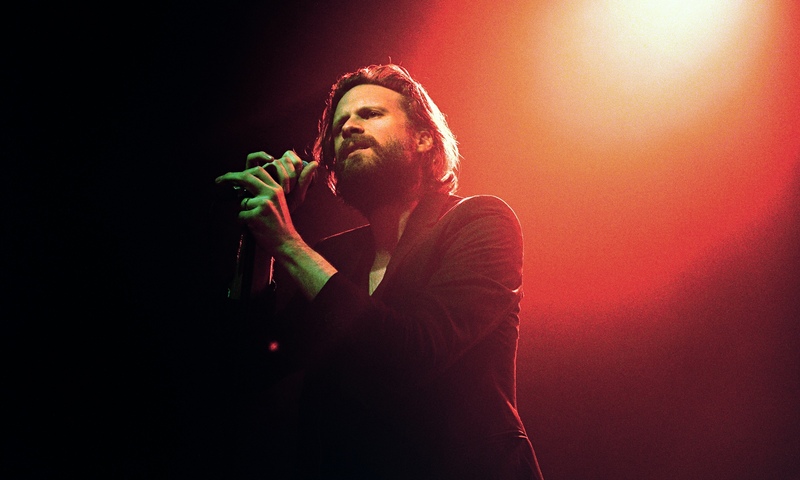 However, Father John Misty seems to defy the rule, as his new album is expected to debut above 300 scrobbles, giving him one of the biggest debuts of all times still. Albums which have amassed at least 250 scrobbles (=Gold) in a single week since 2012. 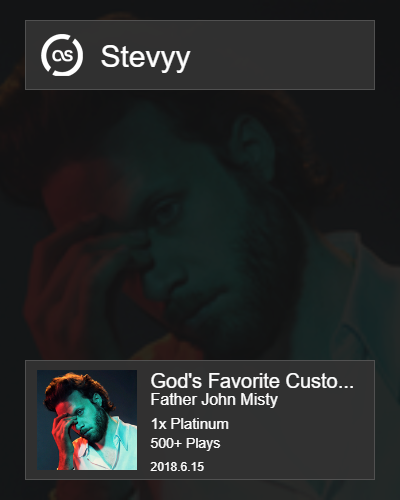 Prophet Father John Misty returns to the MSSA this week with a bang and secures himself the 33rd biggest week ever on the MSSA with his new album "God's Favourite Customer". He rose to prominence in 2017 with the release of the best streaming hit album "Pure Comedy" which has obtained a diamond certification from the MSSA for scrobbles that exceeded 5,000 plays. Mr. Tillman has also jumped ahead of many of this decade's favourite acts on the Alltime List on which he is ranked 7th now. He has already amassed over 1,000 scrobbles in 2018 and ranks 4th on the Year To Date chart. To celebrate the return of Christina Aguilera who released her new album "Liberation" on Friday... let's re-cap what her catalogue shifted during the LastFM Era (2011-) and how other albums of her's debuted in the MPSA Era (2006-2014). Early indication show Liberation in the top 3 this week. *Only Lotus and LIberation have been released in the LastFM Era. Bionic has been released in the MPSA era. 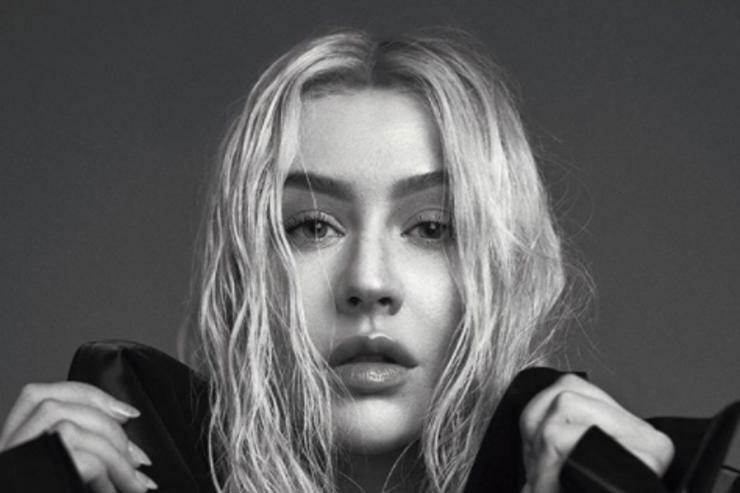 Christina is setting the albums chart on fire with her new album Liberation. The new set has already taken the crown on the Midweek chart and may very well end up as the week's biggest album. However, Father John Misty stays very close behind. Should LIberation debut atop the albums chart on Friday, it would become her second #1 album in her career - Bionic being her maiden. The album has already broken her previous scrobbles record - Lotus debuted with 60 scrobbles in 2012. After only 3 days LIberation became Christina's most successful album since the MSSA / LastFM Era was launched in 2011. He is such a great artist. His music moves me deeply. The Queen has returned and she is coming for BLOOD. ''High As Hope'' is a bit underwhelming IMO. it is a strong and beautiful album. I can understand that some people prefer her old sound. But this time she presents herself laid-back and emotional. I love it too.